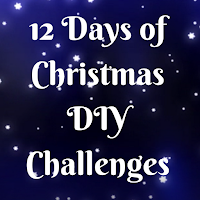 The video for today’s challenge stars yours truly, be kind, I’m not a natural!! 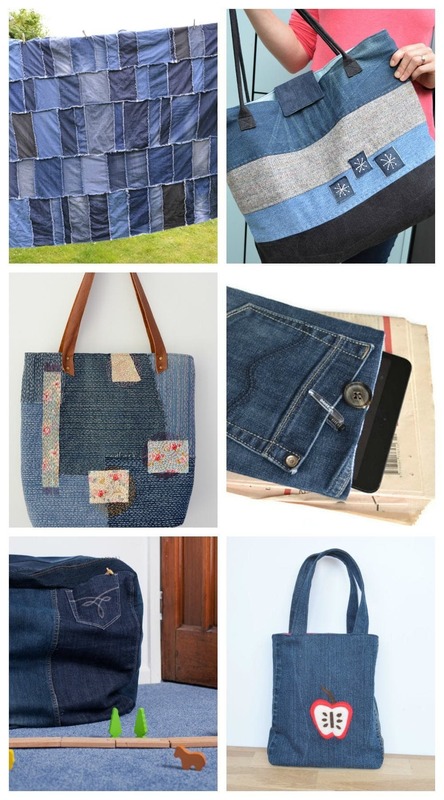 It is no secret I love reusing denim, it is such a versatile hardwearing fabric. Plus it is so easy to source, a quick plea on Facebook usually results in five more pairs to play with!! 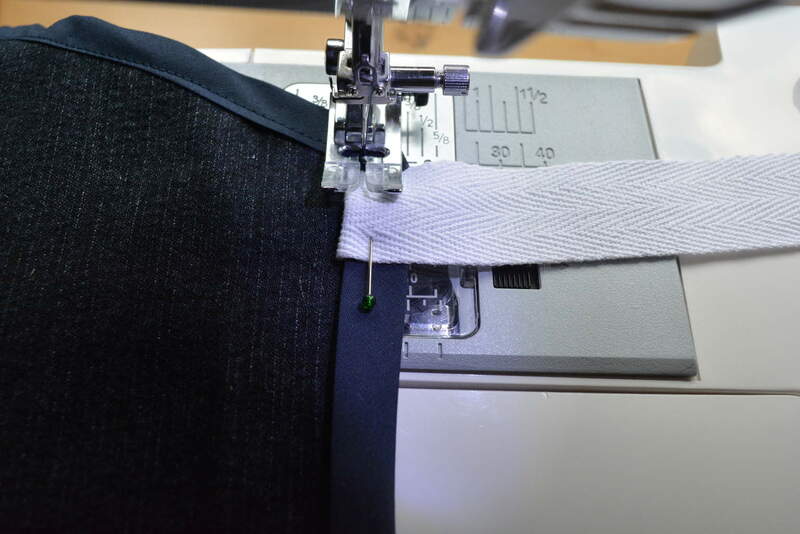 Start by cutting along the inside seam of the trouser leg, cut off the leg near the pocket. 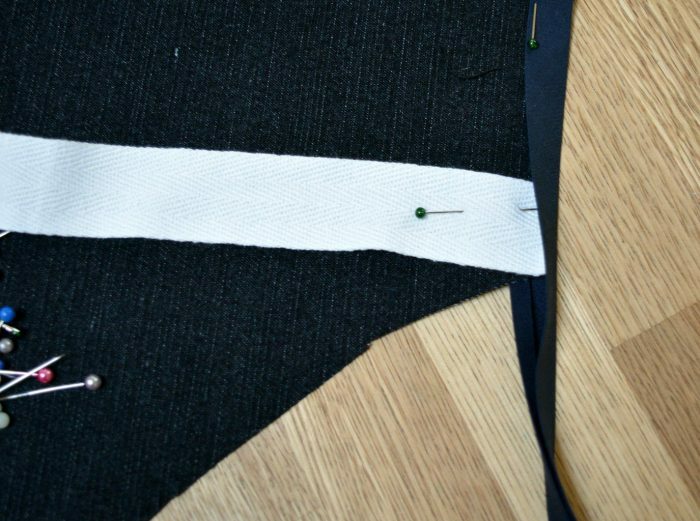 lay out your denim – alter the trouser leg seam so the fabric lays flat if need be. 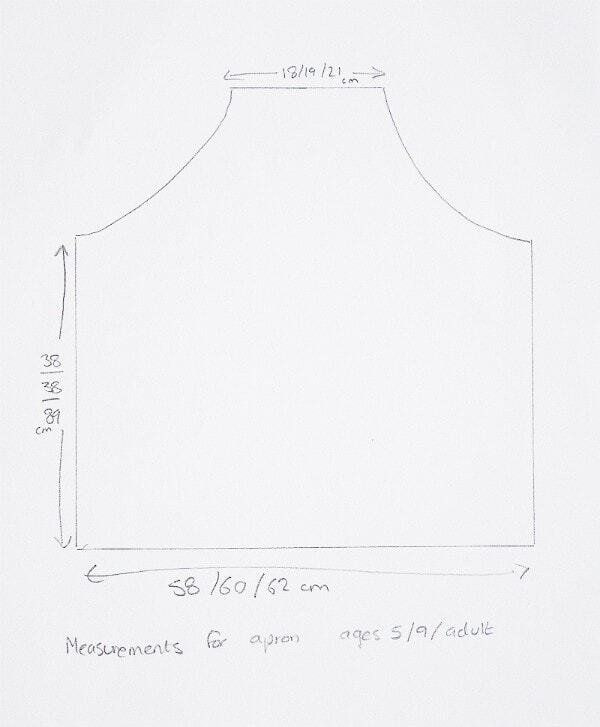 Cut out your apron – if you find it easier make a paper template with measurements. 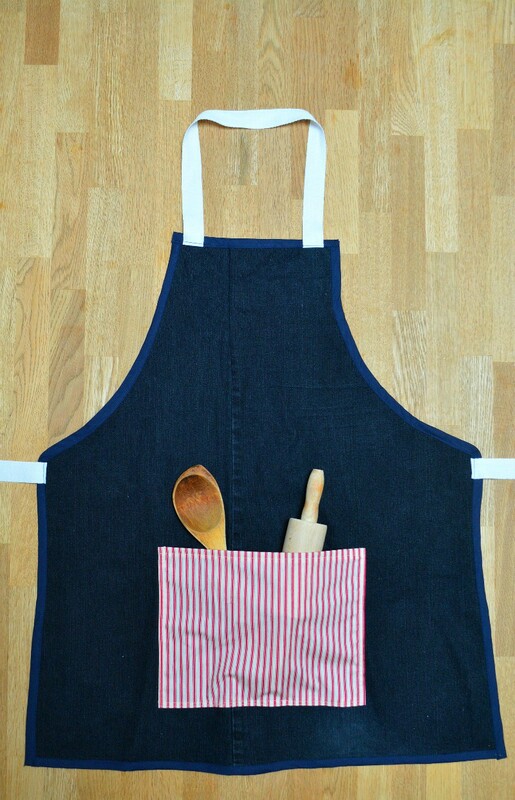 Fold over twice the top of the pocket and press. Stitch in place. 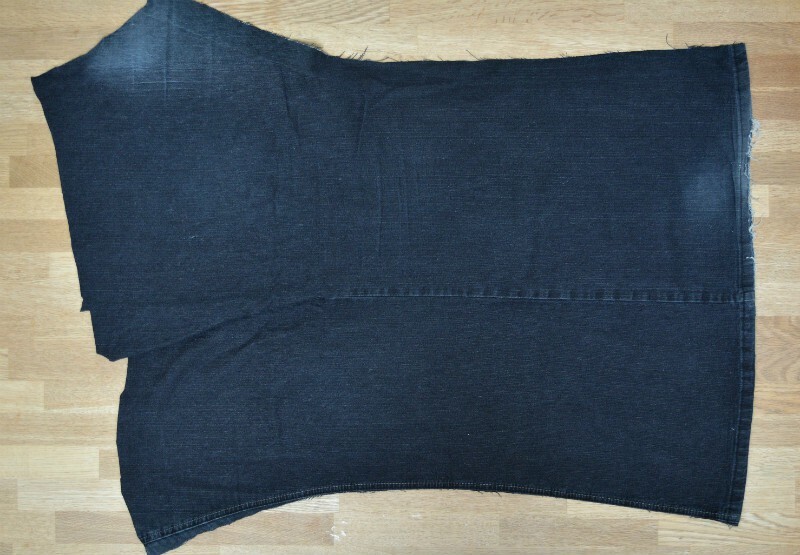 Fold in once the side and base of the pocket. Pin centrally onto the apron. 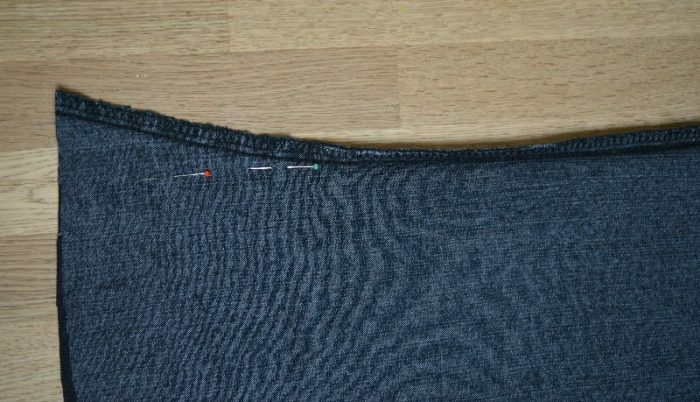 Stitch round the pocket twice, encasing the raw folded edge between the two lines of stitching. 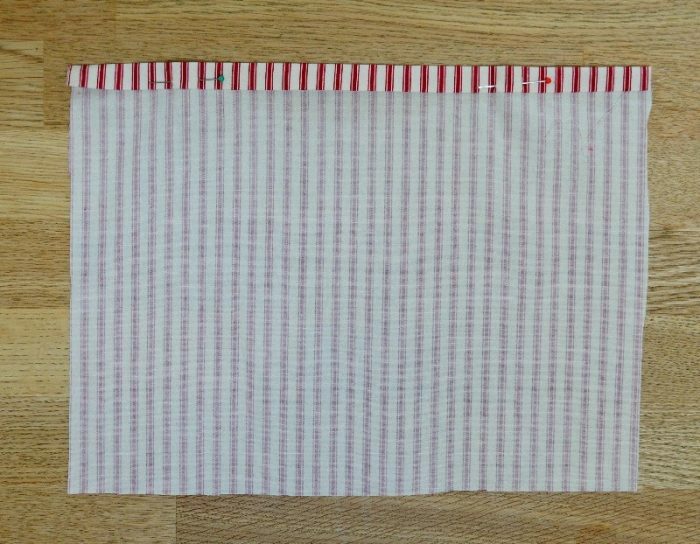 Fold and press your bias binding. Pin the side straps and the neck strap in place. 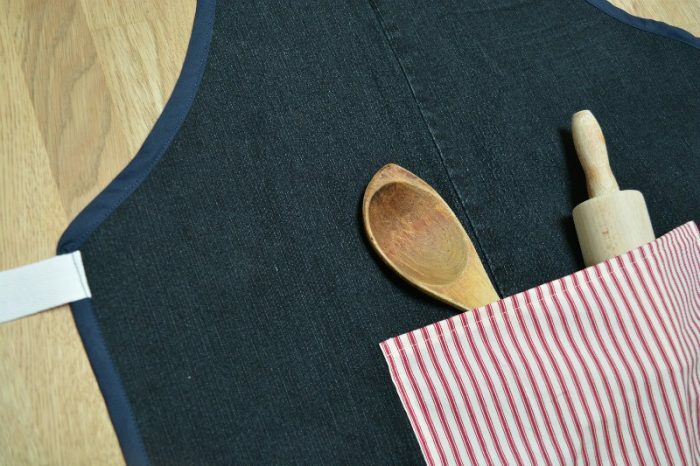 Work your way around the apron pinning the bias binding in place to finish the raw edge of the apron. 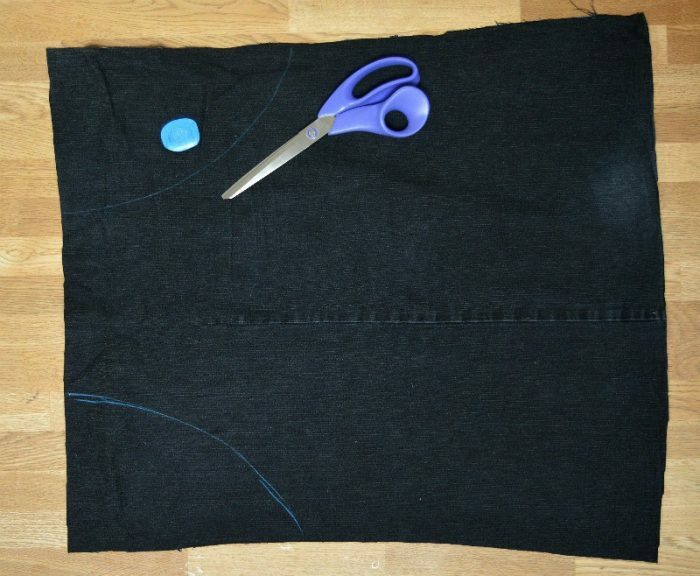 Stitch round, when you reach the strapping fold over so it lies in the right direction for use. If you would love to see more Apron ideas why not visit All Free Sewing for some great free tutorials. 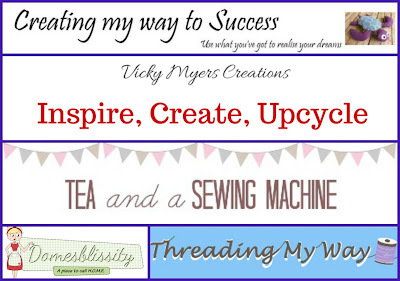 Please do link up, I would love to see what you ave been making. 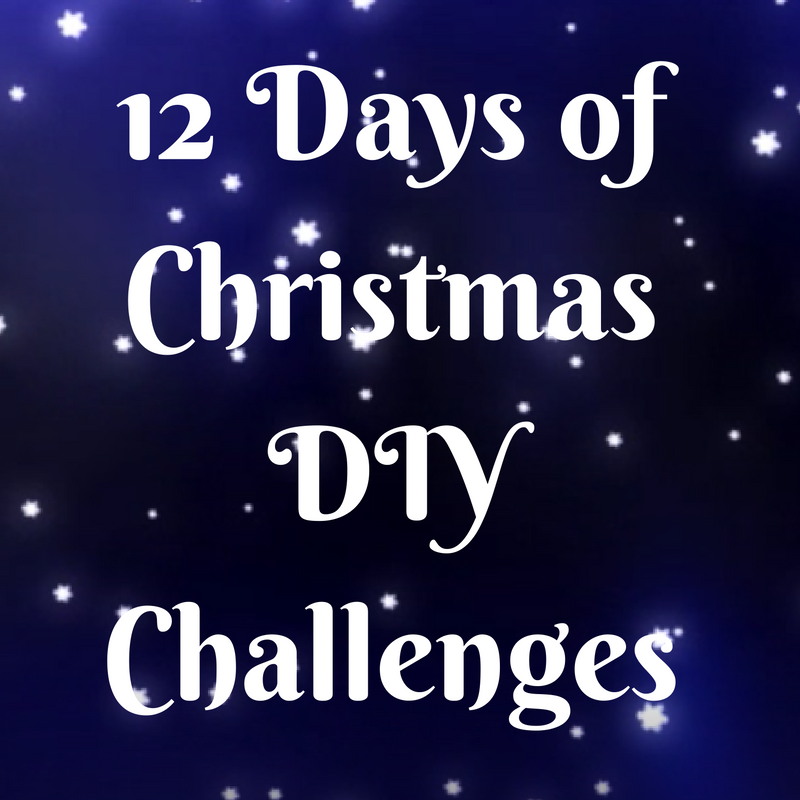 "Recycled jumper transformed into Christmas decorations #12DaysofChristmasDIYChallenges"
Love it Vicky!! Would be an awesome gift!! 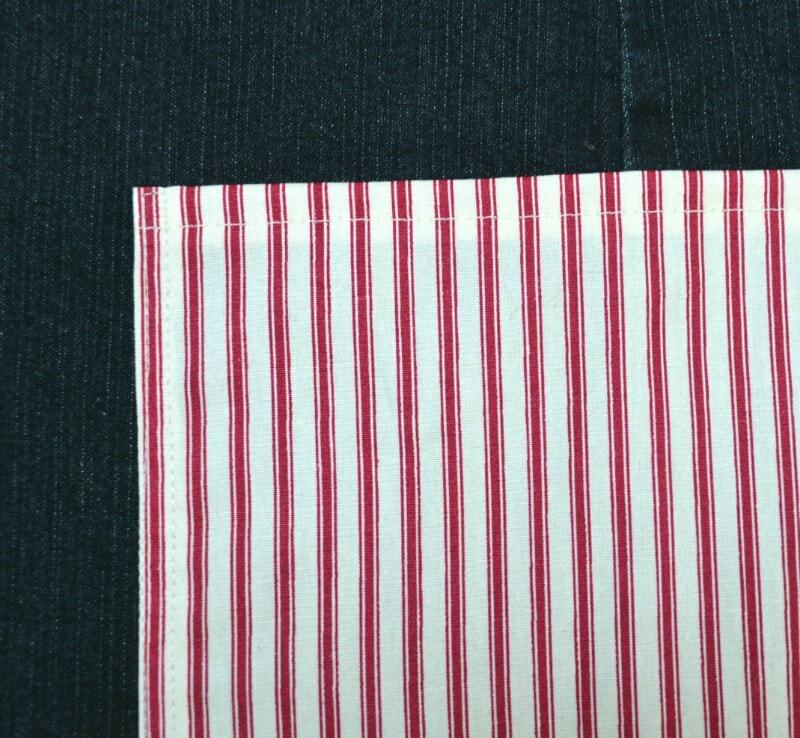 Looks great with the red striped pocket, Vicky. A great gift! 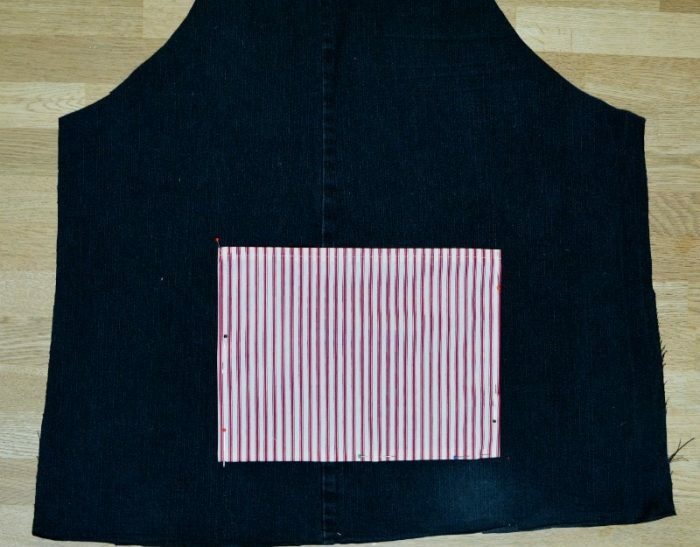 I’ve been into denim upcycle a lot lately and this just joined my list of stuff to try. 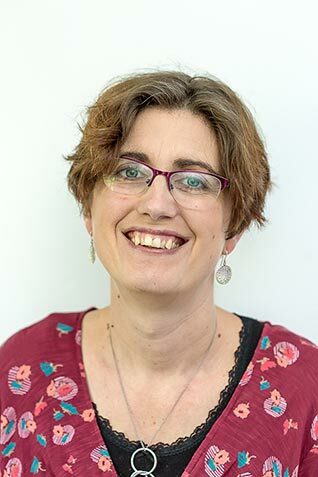 Great idea for a link-up! I linked up an older post that would make a great gift. Thanks!